UPDATE: March 13, 4:30pm EST: The FAA temporarily suspends Boeing 737 MAX aircraft from U.S. airspace, issuing the following statement: "The FAA is ordering the temporary grounding of Boeing 737 MAX aircraft operated by U.S. airlines or in U.S. territory. The agency made this decision as a result of the data gathering process and new evidence collected at the site and analyzed today. This evidence, together with newly refined satellite data available to FAA this morning, led to this decision. UPDATE, March 13, 3:45 pm EST: Associated Press reports the United States is issuing an emergency order Wednesday grounding all Boeing 737 MAX 8 and MAX 9 aircraft effective immediately. In announcing the order, President Donald Trump, according to the Associated Press, cited new information regarding the investigation into the ET302 crash on Sunday. UPDATE, March 13, 2:20pm EST: Marc Garneau just before noon today, March 13, held a press conference in Ottawa to issue a Transport Canada safety notice to suspend the operation of Boeing 737 MAX 8 and MAX 9 aircraft in Canadian aerospace, which includes international operators of the aircraft and domestic operators Air Canada, Sunwing Airlines and WestJet. Garneau indicated new infomration collected and analyzed this morning lead to the decision. “The FAA has issued a statement of continued air-worthiness of the Boeing 737 MAX 8 and we have confidence in the investigative process, as well as the handling of this matter by Transport Canada and the other Canadian operators of the MAX 8. For evolving commercial reasons unrelated to safety, including airspace restrictions being imposed by some of our partner destinations, Sunwing Airlines has taken the decision to temporarily suspend the operations of our four Boeing 737 MAX 8 aircraft. UPDATE, March 12, 2:48pm EST: The European Union Aviation Safety Agency (EASA) suspended all Boeing 737 MAX operations in Europe. A statement from the continental governing body explains, in part: “As a precautionary measure, EASA has published today an Airworthiness Directive, effective as of 19:00 UTC (3:00 pm EST), suspending all flight operations of all Boeing Model 737-8 MAX and 737-9 MAX aeroplanes in Europe. UPDATE, March 12, 12:45pm EST: Turkish Airlines on March 12 released a statement that it has stopped all operations of its 12 B737 MAX type passenger aircraft in its fleet, until further notice. INITIAL POST, March 12, 11:00am EST: The United Kingdom Civil Aviation Authority on Tuesday, March 12, became the most-recent national governing aviation body to temporarily suspend operation of Boeing 737 MAX aircraft into or out of its airports. This closely followed Australia’s Civil Aviation Safety Authority (CASA) decision on Tuesday to suspend operation of the 737 MAX – to or from Australia. Hours earlier, however, the United States Federal Aviation Administration issued a Continued Airworthiness Notification for the Boeing 737 MAX. The FAA notification indicates the U.S.-registered 737 MAX fleet includes 74 airplanes and the worldwide fleet amounts 387 airplanes used by 59 operators (listed at the end of this article). Transport Canada had not issued any statements with regard to the 737 MAX at the time of this posting, which is operated in Canada by Air Canada, Sunwing Airlines and WestJet, but Global News on March 11 reported Transport Minister Marc Garneau as saying Canada will not order its airlines to ground Boeing 737 MAX 8 aircraft. Several national aviation authorities have suspended operations of the 737 MAX following the March 10 crash of Ethiopian Airlines flight ET302, which included 18 Canadian fatalities (157 total). This was the second air disaster involving a 737 MAX-8 in less than five months, including the October 29, 2018, crash of Lion Air flight JT610, in which 189 people died. Singapore-based SilkAir, which operates six 737 MAX aircraft, has already temporarily suspended operation of these aircraft, based on a similar directive also announced today from the Civil Aviation Authority of Singapore (CAAS). CAAS explains the other airlines currently operating Boeing 737 MAX aircraft to Singapore are China Southern Airlines, Garuda Indonesia, Shandong Airlines and Thai Lion Air. In addition to Ethiopian authorities, which became the first body to suspend 737 Max flights after the crash of ET302, Boeing, the FAA, NTSB, and accident investigators are cooperating on the Ethiopian Airlines investigation. Reports indicate the Black Box recorder from flight ET302 was found by authorities yesterday. As the investigation continues, no cause has been identified in the Ethiopian Airlines 302 disaster and no links can be made between the two 737 MAX crashes at this time. After Ethiopian Airlines’ 737 MAX 8 suspension, China, late on March 10, became the first major aviation authority to temporarily ground the aircraft. Indonesia and Cayman Airways soon followed suit. 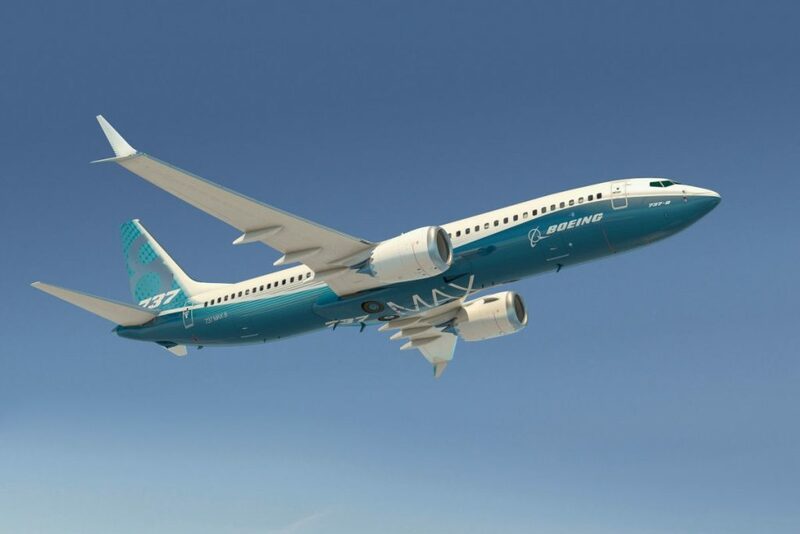 On March 11, the FAA issued a Continued Airworthiness Notification to the International Community (CANIC) related to the Boeing 737-8 and Boeing 737-9 fleet, noting, in part: “Following the accident of an Ethiopian Airlines Boeing Model 737-8 airplane on March 10, 2019, the National Transportation Safety Board (NTSB) as the accredited representative, and the FAA as Technical Advisors, are supporting the Ethiopian Accident Investigation Bureau. The FAA has dispatched personnel to support the investigative authorities in determining the circumstances of this event. All data will be closely examined during this investigation, and the FAA will take appropriate action if the data indicates the need to do so.